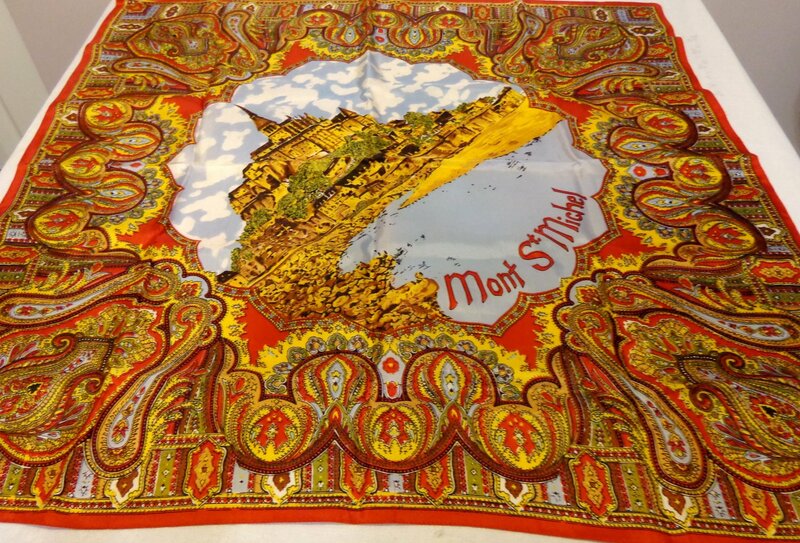 This acetate souvenir scarf features a center of the Mont St. Michel in a rather loosely painted image. It is surrounded by a bold and lavish paisley border that dominates the scarf.. The paisley is predominately red that is not quite burgundy. It measures 30 inches square. Condition is very good leaning toward excellent. It is clean with no damage of any kind. This is a vintage scarf.